Mike Jacobs speaks at this year's Hot Stove Banquet in Clinton. CLINTON, IA (February 5, 2019) - The Clinton LumberKings, in conjunction with the Miami Marlins, are excited to announce the 2019 coaching staff. Mike Jacobs will serve as the team's 51st Manager since Clinton joined the Midwest League and will be joined by Pitching Coach Mark DiFelice, Hitting Coach Frank Moore, Athletic Trainer Melissa Hampton, and Strength and Conditioning Coach Amanda Sartoris. Jacobs will be the first manager to be assigned by the Miami Marlins, the new LumberKings affiliate. During his playing days, he earned the reputation as a power-hitting first basemen. Over parts of seven seasons, Jacobs hit 100 home runs for the New York Mets, Florida Marlins, Kansas City Royals, and Arizona Diamondbacks. Jacobs' greatest success as a player came with the Marlins in 2008 when he clubbed 32 home runs and drove in 93 runs. Jacobs made his last Major League Baseball (MLB) appearance on October 3, 2012 with Arizona but continued to play in the Minor Leagues until retiring following the 2016 season. He then went into coaching and was named Manager of the Short Season-A Batavia Muckdogs for the 2017 and 2018 seasons. During his time at the helm, his teams established themselves as some of the most productive power-hitting teams in the New-York Penn League. In 2018, Batavia slugged 43 home runs as a team to finish second in the league. Mark DiFelice comes to Clinton as the team's Pitching Coach after serving in the same capacity last year with the Greensboro Grasshoppers. A three-year Major League veteran, he ended his playing career following the 2012 season with Rimini of the Italian Baseball League. Before joining the Marlins, he spent three seasons in the Pittsburgh Pirates organization, splitting his time as Pitching Coach for the West Virginia Power and Jamestown Jammers. DiFelice was drafted in the 15th round of the 1998 MLB Draft. Along his journey to reaching the Major Leagues he was selected to four different All-Star teams. He recorded his first MLB strikeout during his debut on May 18th, 2008 with a punchout of Manny Ramirez. Frank Moore will join the LumberKings coaching staff as Hitting Coach. He spent his previous season in Greensboro which was his 10th in the Marlins organization a s a coach. During his time with Miami, he has served as Hitting Coach for the Jupiter Hammerheads, Jamestown Jammers, and now Clinton LumberKings. As a player, Moore split the majority of his time between the outfield and first base. Over an 11-year professional career he reached as high as the Triple-A level, playing in both the Tampa Bay Rays and Miami Marlins organizations. 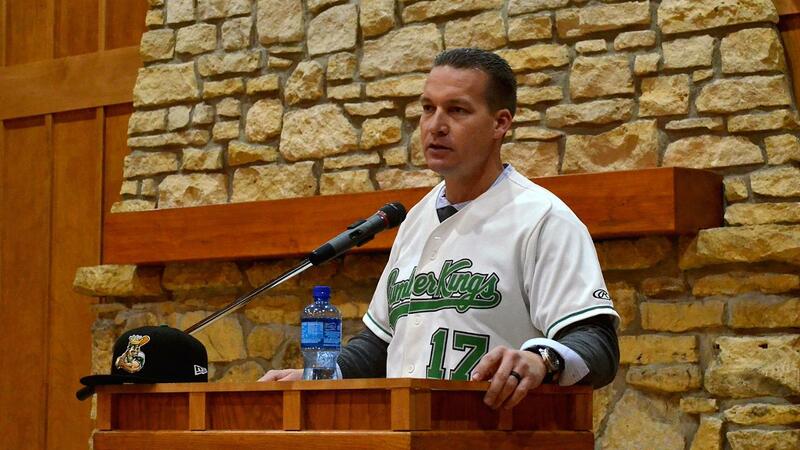 The newest LumberKings coaching staff will get their first taste of Midwest League action when the Clinton LumberKings open their 2019 season on April 4th, in Kane County against the Cougars. On April 6th, the LumberKings will come home for the home opener with the Cougars.